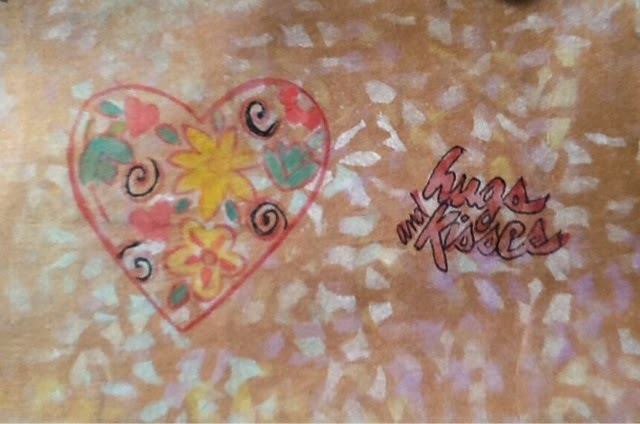 For this ATC (artist trading card) I used a rubber stamp for the heart and hugs and kisses. I then colored the heart with Luminarte's H20s The background was completed first with Pan Pastels added over a paper doily with the MyBlendAll tool….love the confetti effect. Another project inspired by Creative Jumpstart 2014.